So you want to know how to trim a tree branch, read on to find out the mistakes the avoid and tips and tricks you need to know! Why Trim Your Tree Branches? Prevent Disease – Remove dead, damaged and diseased branches to help the overall health of the tree. Insects and diseases can spread from affected limbs and causes extensive damage to a tree. As one of the leading arborist Newcastle teams highlights ‘by proactively removing a diseased limb, you can save the tree’. Thinning – If there is a thick canopy that is preventing light from entering, you may choose to thin the canopy in order to increase air and light exposure. This may improve the overall health of the tree and prevent diseases. Prevent Co-Dominant Leaders – When two branches are growing highest at the top of a tree, it can be beneficial to remove one branch in order to allow the other branch to become the dominant branch. This can prevent the splitting and tearing of wood that can happen in storms and strong winds. Safety – If a tree branch is too close to a residential property, it may need to be trimmed for the health and safety of residents. By removing any dead branches you can encourage the tree to grow new, healthy branches and leaves. Aesthetics – In order to encourage a natural tree form, tree branches can be trimmed to improve the overall aesthetics of a tree. By keeping trees in a uniform shape and size, the trees will not dominate your landscape and can provide a balanced aesthetic for your property. So in essence, providing appropriate trimming to your tree will keep them healthy, safe and looking great. In all circumstances, the Newcastle Urban Forest Technical Manual is to be consulted before undertaking pruning works. So as you can see there is limited scope for trimming trees in your backyard. For more information read the Newcastle Urban Forest Technical Manual or call the Council’s Customer Contact Counter on 02 4974 2000. Key Point: Are you legally allowed to trim that branch? Make sure that you are aware of all legal requirements before you start trimming any branch. There can be significantly heavy penalties for trimming branches of protected trees in the Newcastle region. Are there any electricity or phone cables nearby? Do you have the right PPE and safety equipment to complete the task? Are you confident that you can complete the task safely? Have you assessed for any risk and hazards that are present? If you are not confident that you can complete the task safely or you do not have appropriate safety equipment, you should not start the project. 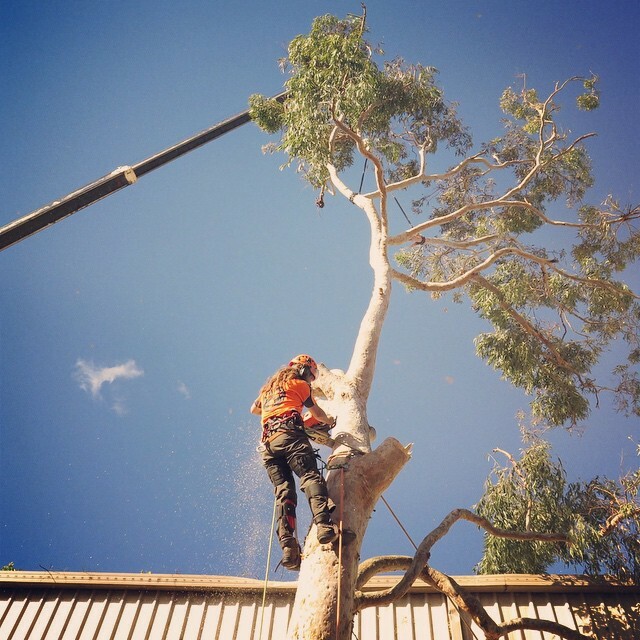 Qualified arborists have undertaken extensive training to ensure they can safely and professionally handle any tree trimming, pruning and removal jobs. You might be surprised at how affordable professional arborist services actually are! Call Cutting Edge Tree Maintenance for a free tree trimming quote for your property. 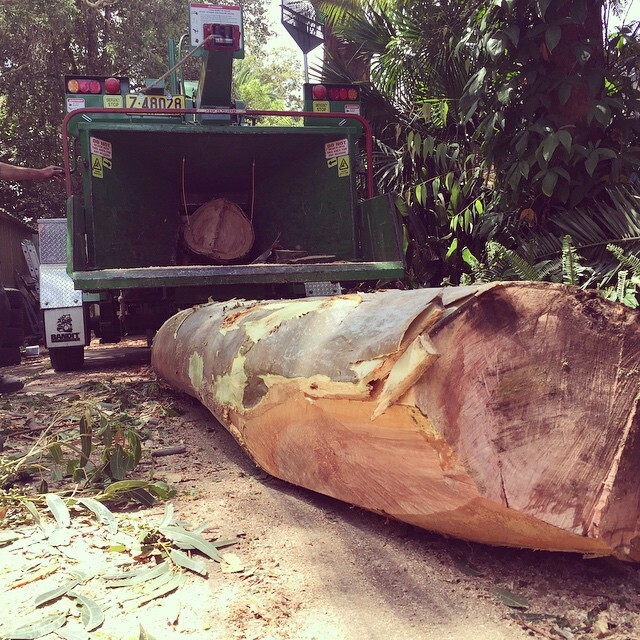 Locally owned and operated, Cutting Edge Tree Maintenance offers a complete range of affordable tree care services throughout Newcastle, Lake Macquarie and the Hunter Valley. There is no job too big or small. Whether you need a single branch trimmed or a ginormous tree removed, Cutting Edge Tree Maintenance have the skills, expertise and qualifications to safely and professionally get the job done right the first time. What Are The Basic Principles Of Trimming A Tree Branch? Start with a plan. Before you get any equipment out, identify which branches need trimming and where the cuts should be made. Inspect the tree from multiple angles to ensure that you have a thorough understanding of how you can access each branch and identify any hazards. In general, it is best to trim branches that have weak, V-shaped narrow angles. Try to trim away branches while they are still young. Not only will the task be easier, but the risk of leaving unsightly scars is lower. Don’t trim a branch too close or too long. The branch collar should not be removed. If the branch collar is damaged there is a risk of infections and damaging the growth cycle of the tree. Before you commence trimming, you should identify the branch collar and branch ridge. Cut outside the branch bark ridge and angle your cut away from the stem. This technique can be used for diseased, healthy and dead branches. If the stem is too long to cut safely, then a three-cut technique is advised. The “three-cut trimming” technique is recommended for trimming long stemmed branches. Basically, this techniques prevents large sections of bark from peeling away from the trunk of the tree. The following video can help you understand the importance of each of the three cuts. There is no need to use tree paints to coat the wound of the tree. Rotting can occur when these acrylic coats are left on a tree. Why do cuts need to avoid the branch collar and branch bark ridge? This is the area of a tree that contains enzymes and chemicals that cause callous growth that protects the wound created by the cut. If the branch collar is injured, it will not heal properly and will affect the health of the entire tree. This is why branches should not be cut flush with the tree trunk. What Are The Main Mistakes People Make When Trimming Branches? If you want your tree trimmed properly, engage the services of a qualified arborist. 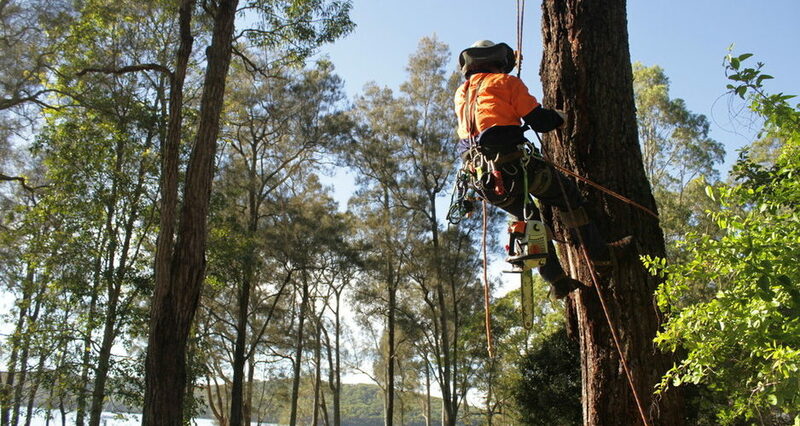 Only after extensive training and education are arborists licensed and qualified. By utilising the experience and knowledge of a professional arborist, you will ensure that your tree is provided with the best care. Another benefit of using a professional tree maintenance company is that they are fully insured. If you live in the Newcastle region, give the team at Cutting Edge Tree Maintenance a call today for more information on the benefits of engaging the services of a professional arborist team.